In 2002, I was a pediatric occupational therapist and knew virtually nothing at all about caring for clients after surgery for breast cancer. Four years and two military moves later, I was the de facto expert in my clinic for post-operative management after mastectomy and lumpectomy. Even physical therapy consults were converted to occupational therapy consults, so that post-operative breast cancer clients could be scheduled to me. How did this happen? Well, that next Air Force assignment in June 2002 placed me in a clinic where I was the only occupational therapist. Whatever client and diagnosis came in, as an OT consult, it was all on me as the only evaluating therapist. In a stroke of luck, my senior therapy assistant had cross-trained into OT after being a nursing technician. In a previous assignment as a nursing tech, she was on a wound care team. Her skills proved to be invaluable to my journey and to the livelihood of many clients after surgery. I also had easy access to consult physical therapists if I needed to, and the general and plastic surgeons were very prompt in returning my calls. Perhaps most importantly, I listened to clients’ problems and concerns. Over time, I grouped and sorted their information and problem areas and came up with a few areas that seem universally relevant for clients after mastectomy or lumpectomy. This information is what I have learned and what I felt was the basics of what clients needed and wanted. You will therefore not likely find this in any book, manual, or presentation. Information presented here is for educational purposes. You may find it compelling enough to discuss with your medical team. The information is not, however, intended to be a substitute for professional medical advice, diagnosis, or treatment by medical professionals who have evaluated you. Hopefully, your surgeon, oncologist and/or therapist will be open to considering this guide to maximize your recovery. The key here is that too much activity too soon, including range of motion (ROM) exercises, can cause an overall increase in scarring and scar thickening. Physicians and surgeons often say, “Just do what you can do,” and clients think they should return to most of their typical activities of daily living (ADL). Many do too much too soon, especially with housework because they are at home and have not yet returned to work. You are home for convalescence, not on scheduled vacation for spring cleaning! Don't do too much too soon. Most clients, regardless of whether they had lumpectomy, mastectomy, or lymph node excision, are too sore to begin ROM for at least 3-4 days. I have not found it to negatively impact outcomes to wait 5-10 days before beginning structured ROM exercises. ROM returns quickly for some clients with no special efforts or no therapy. Other clients regain previous baseline ROM over a period of a few months. It is important to examine ROM to ensure that previous level of motion returns. Clients with a history of frozen shoulder or diabetes are at higher risk for decreased ROM. Decreased ROM which is unknown to the client and the medical team can delay radiation therapy. At my facility, a minority of clients had radiation, and then usually after one or two rounds of chemotherapy. By this time months have passed since the surgery and the ROM deficit is unknown. The client cannot get their arm in the required position for their treatments. They are then referred to therapy and cannot begin their radiation until they can get their arm over their head. I start my clients off with pendulums, cane, pulley, wall walk and table slides. I have thoroughly covered this topic in another article, Range-of-Motion Exercises After Mastectomy or Lumpectomy. In that article, you will find exercise instructions, photos, and videos. Given a 0 to 10 pain scale, ROM exercises should be done to no greater than a 1 to 3 of 10 pain increase from baseline discomfort. Discomfort is almost always caused by pulling to incisions or scars, not shoulder joint stiffness. Better to do a few repetitions or a few minutes, spread throughout the day to avoid increased discomfort from exercises. Imagine exercising 45-60 minutes, 2 times a day, versus 10-15 minutes 6 times a day. Which would more likely result in an increase in soreness or swelling? If you need more information on the 0-10 pain scale, you can refer to the Intensity of Pain section of my article How to Talk to Your Doctor About Pain. Our clinic usually dispensed an over the door pulley, such as this one, to clients. Pulley exercises are a valuable tool for regaining shoulder range of motion. Release or minimize adhesions (areas where the skin is scarred down, stuck to underlying tissues). Mobilize the soft tissues so that they do not interfere with motion. Reduce scar tissue in the early months when it is still ‘changeable’, pliable, or ‘re-moldable’, especially if considering reconstruction. Improve the appearance of scars. Scar massage may not be tolerated for several weeks after surgery. Starting 3 to 10 days after surgery, gently touch the area around the incision with a Q-tip. The flesh around incision scars may remain tender for several weeks. Advance from light pressure with a Q-tip to touch pressure with several fingers, making a broad, flat surface area with several fingers, with moderate pressure as tolerated. Use gentle rocking movement of fingers as tolerated. Begin more localized, targeted massage with increased pressure multiple times throughout the day when tolerated. As tissues heal and tenderness subsides, begin more rigorous and targeted scar massage using the tips of the index and middle fingers. Do scar massage as many times a day as possible. In our clinic, we dispensed a product called Dycem to help grip the skin for scar massage. Use caution in working on adhesions. Too much too soon (i.e. premature release of the scar adhesion) would be like creating a new laceration under the skin. 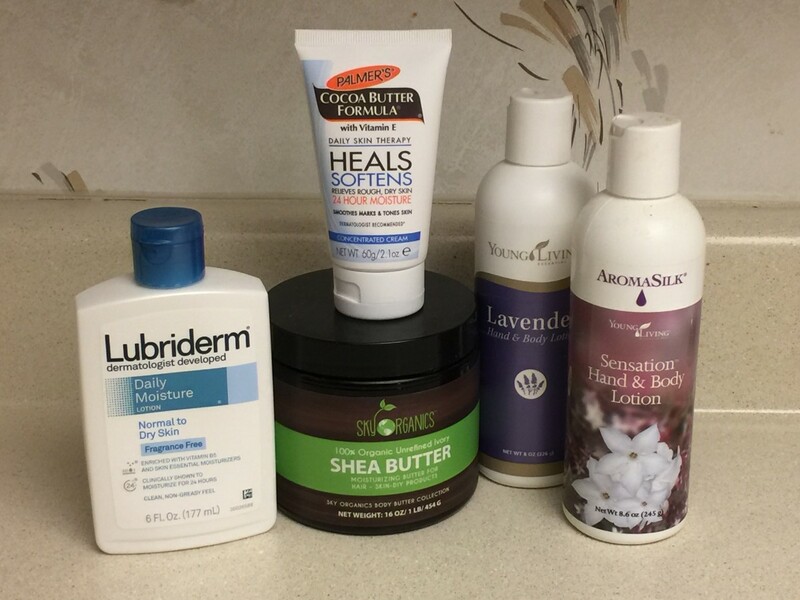 I do not recommend lotions until skin is closed and healed, or use lotion only on healed areas. Many clinicians prefer Palmer’s Cocoa Butter, lotions with vitamin E, or vitamin E capsules (squeeze out the oil). Small bottles of vitamin E are now available. It is inexpensive and shelved with the oral vitamins and supplements. Any preferred lotion may be used. This is a long-term endeavor—use some variety! Silicone products help with scar healing. Mepiform, or over-the-counter products like Mederma, help make scars softer and more moldable. I like to use Topigel or CecaCare with thicker scars. These products are quite expensive. We dispensed them to patients at our clinic. The mastectomy scars are the most likely to become thick or hypertrophic. Additionally, they often present similarly to a carpal tunnel release scar: the scar itself may look and feel appropriate to the timeline from surgery, but there may be multiple or numerous knobby areas under the skin on either side of the scar. This is especially true at either end of the scar. In both populations, this is usually due to the previously mentioned “Just do what you can do” phenomena, with clients returning to too much activity too soon. I like the Topigel or CecaCare for these scars. Good scar management is especially important if reconstruction is planned for a later date. Mepiform is usually fine for the smaller, thinner scars, which is often the case with the port placement and drain scars. The lumpectomy scars can go either way. The incisions after breast reconstruction usually do pretty well. They usually are thin, sometimes w/ the knobby areas. The Plastic Surgeons are usually very specific with their clients on restrictions and recommendations, including such things as sports bra specifics. Abdominal scars, the donor site for some reconstructions, tend to be hypertrophic (thick) and/or have the knobby areas. These require a significant amount of expensive silicone products, which may exceed clinic resources. Patients then just use lotions and oils. Cocoa butter has been a favorite of therapists for decades for treatment of scars. I always mention cocoa butter as an option for scar management. This product is good for thick scars, which is often the case with mastectomy scars, and abdominal scars from reconstruction flap surgery. The product will usually last several days before a new piece is necessary. Sensory re-education strategies help ‘normalize’ sensation. Use visual and mental attention during sensory activities such as scar massage. Massage with or without lotion. Use different textures and pressures to access the brain’s memory of sensations. Hypersensitivity refers to increased sensation or being overly sensitive. 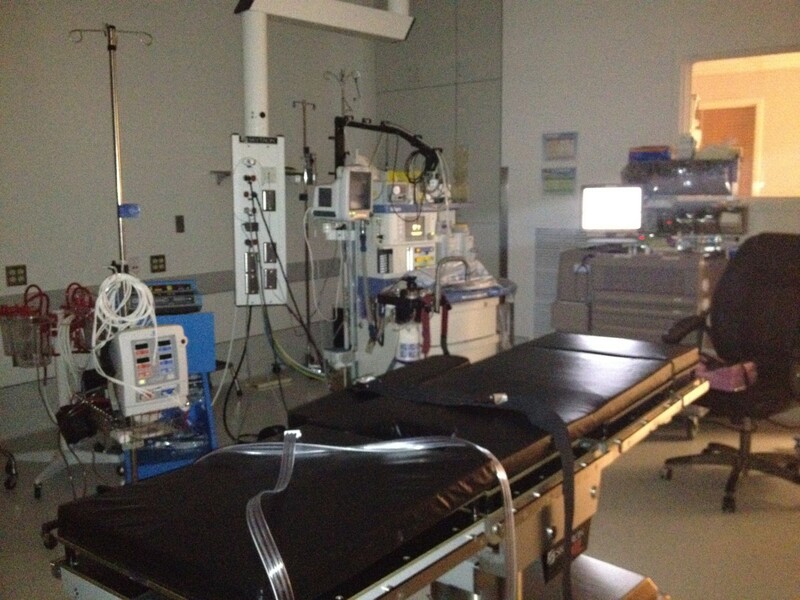 These issues are more common with port and drain incisions. If extremely sensitive, use of distraction may be helpful, such as your favorite music, fragrances, or a shower. When hypersensitivity subsides, use visual and mental attention to access brain’s memory of sensations. I think of sensory re-education for hypersensitivity in terms of ‘geography’, amount of touch pressure, and type of touch texture. Use fingers or a soft fabric, and ‘zone’ the total geographic area of hypersensitivity, therefore identifying where it is tolerable to touch. Start working at the outermost boundaries with the pressure and texture tolerated. Use fingers, soft velveteen, soft fabric like slip or camisole, cotton balls, or other tolerated texture. Discomfort should be no more than a 1 to 3 of 10 increase above baseline discomfort. It will not be the goal to go in to ‘ground zero’, the zone of greatest discomfort, each session. Our goal is to increase the range of textures and pressures tolerated and/or decrease the total surface area of touch hypersensitivity over time. This is not absolute. In emergency situations you may have to have blood pressure checked or blood drawn from the arm of your breast cancer surgery side. The lymphatic system is crucial to immune function and fighting infections. Lymph nodes filter the lymphatic fluid, to identify and filter harmful materials, such as bacteria and cancer cells. A compression sleeve is recommended for lymphedema prevention. Even with a single sentinel node or minimal lymph nodes excised, a sleeve should be worn for air travel. Sleeve should also be worn when outdoors or otherwise exposed to prolonged sun or insects, or if prolonged exposure is possible or likely. Use sunscreen, insect repellant, compression sleeve and long sleeve shirt. An off the shelf product is fine for these purposes, if you can find one to fit. The greater the number of lymph nodes removed, the greater the need for a sleeve and other prevention measures. 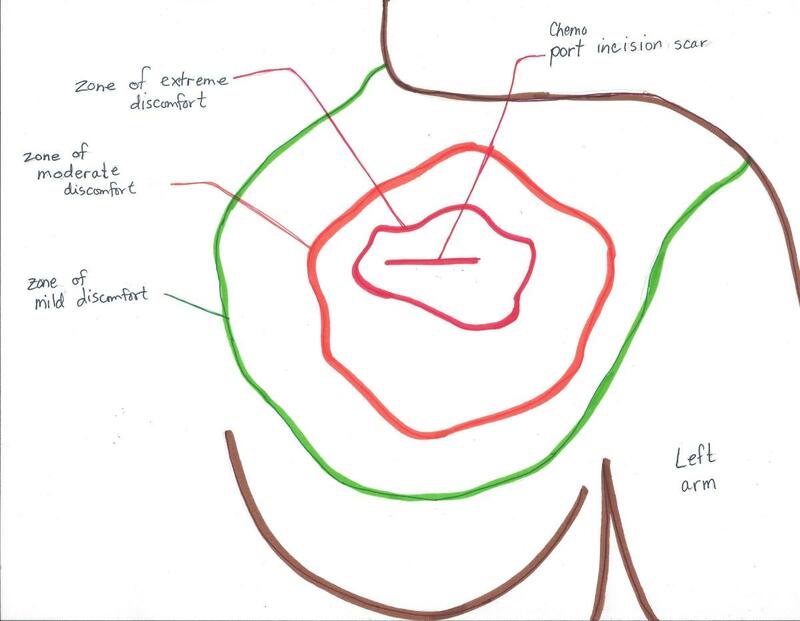 When surgeons note they removed ‘all accessible nodes’, this is usually 22-25 lymph nodes. It doesn’t matter how many nodes, if any have cancer. The point is, how many of your available scavengers (of harmful materials) did you lose? My index of concern increases after about 12 nodes. This is the point where I would recommend putting on the sleeve on waking and wearing it most of the day for at least 3-6 months. With all accessible nodes removed, I would recommend all day wear for at least 6-12 months. With a greater number of nodes removed, more compression is indicated than available with off the shelf sleeves. I sent many of my clients for custom made compression sleeves. Additionally gloves or gauntlets may be needed to prevent swelling from shifting down into the hand. How do you know if you have lymphedema and when does it start? 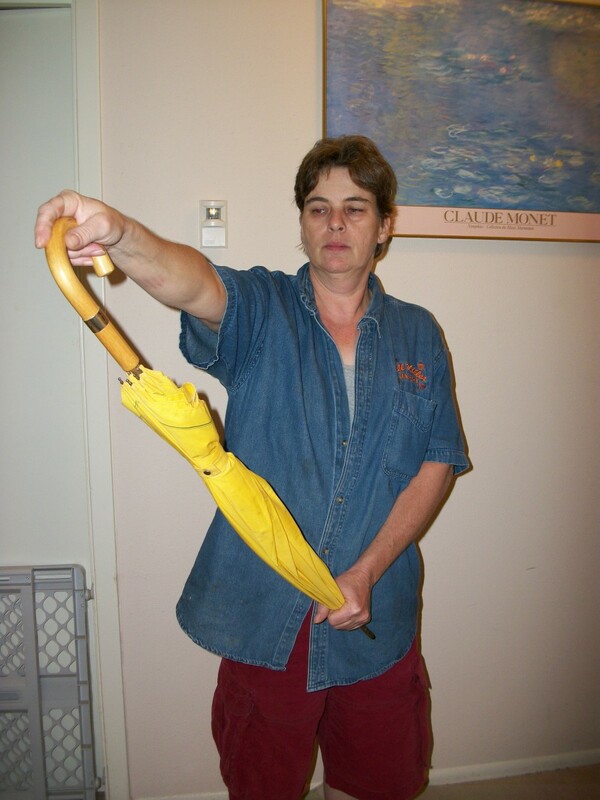 Lymphedema can start as swelling to all or part of the arm. The swelling tends to be firm, and often uncomfortable. While there may be some swelling of the arm immediately after surgery, it should resolve or start resolving in a few days or 1-2 weeks. Swelling that persists may be lymphedema. Lymphedema can occur at any time, even 20 years after cancer and surgery. Women and men can get lymphedema in arms or legs, from injury, insect bite, and sometimes for unknown causes. Breast cancer surgery is an “injury” that can make you more vulnerable to lymphedema than someone who has not had surgery. Also the greater the number of lymph nodes removed, the greater the vulnerability. Anyone who may have lymphedema should be evaluated by a therapist who specializes in lymphedema care. I can tell you if it were me, or a relative of mine, I would be insistent on seeing someone with extensive experience through a substantial percentage of their caseload in lymphedema management. This can be an Occupational Therapist or Physical Therapist, but is more often a PT. In my area, San Antonio, there are only a few lymphedema therapists. Many massage therapists have this experience, but are not covered in most healthcare plans. Gloves are often not necessary for lymphedema prevention. When arm swelling is present however, gloves are needed to prevent swelling from pooling in the hand. This information is what I have learned and what I felt was the basics of what clients needed and wanted. You will therefore not likely find this in any book, manual or presentation. Most facilities and providers tend to refer their post-operative breast cancer patients to physical therapy for shoulder range of motion. PTs do not tend to address scar management, particularly sensory re-education. Hopefully, your surgeon, oncologist and/or therapist will be open to this guide to maximize your recovery. This article is not intended to be a substitute for professional medical advice, diagnosis or treatment. Consult your doctor. Consider asking for an occupational therapy or physical therapy consult. Jobst gauntlet, like a mitten with the fingers cut off. My favorite off the shelve compression sleeve. The American Cancer Society is dedicated to eliminating cancer by preventing cancer, saving lives, and diminishing suffering through research, education, advocacy, and service. Many of my clients said the free mastectomy bra from the ACS. Thanks so much for the info about how to treat scars. I was given the go-ahead by my doctor 6 weeks ago to massage the scars, but I didn't know how to do it. I also knew about using Vitamin E oil, but not about all the other products you mention. It's 2 1/2 months since my surgery (a total bilateral mastectomy with only sentinel nodes removed) so I hope I am not starting too late. Earth Mother I'm so glad you let me know that this article was helpful. I find what most clients want to know is what is common, what is uncommon but still happens, vs what is not common at all after mastectomy. Very informative and useful piece of advice you shared in well. Thanks for the visit taamirplus. I see your hub is currently unpublished. FYI self promotion is discourage in hub comments. If you write quality articles, the traffic will eventually come, and from outside of HubPages community, which is what you ultimately want, whether you’re trying to make money, or just get your work read. (I have not had breast cancer.) urba, I concede natural healers are just as fallible as Western Medicine physicians. Unfortunately not all providers are created equal. My naturopath knows more about biochemistry than most physicians. I'm very lucky to have such an experienced and knowledgeable provider. MG, I'm all for natural prevention and cures. 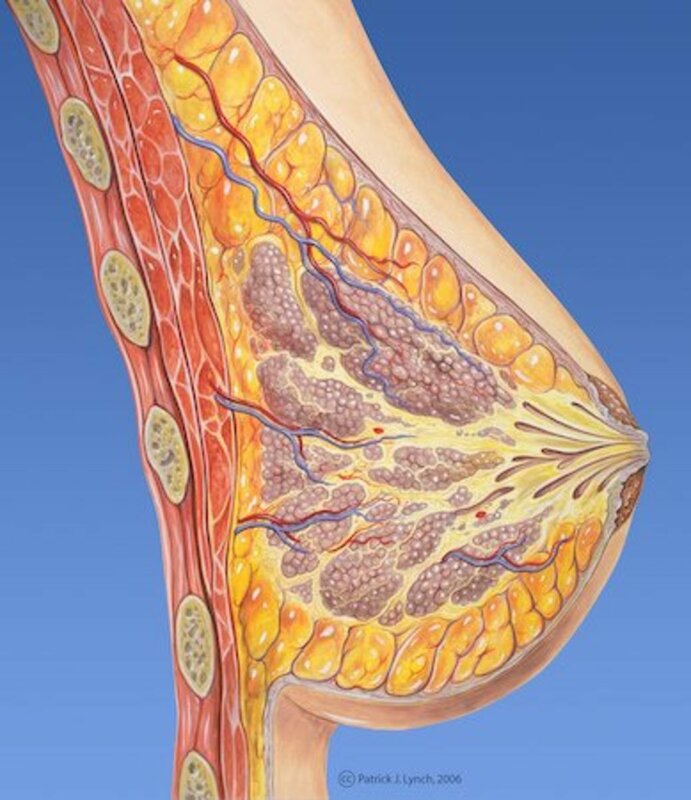 RM, this is a great and informative hub on breast cancer management after surgery. It definitely reveals a lot of tips that some doctors may not think to inform breast cancer survivors. Thanks for taking time to share your experience and thanks for the link to my hub. :) Thumbs up! Given your limited options for medical care, I’d also look into things that help you achieve a more alkaline pH, which is less hospitable to cancer and other diseases. Stuff like cultured vegetables, kefir, Lifeline water, and coral calcium. I can email you some links tomorrow if you’re interested in these things. I'll have to look at doing those exercises, my posture is bad as I sit hunched over my laptop a lot. The problem is that I live in the wop wops of Tanzania. No decent medical care, no compression gloves, doctors to talk to. The local GP here just prescribes antibiotics for everything, and I mean, everything. No mammograms either and I should have them every six months as they found new calcifications developing in my healthy left breast, 18 months ago. So, no mammogram for 18 months! They do have the machine but no one who knows how to operate it. In Arusha 80km away, they have an operator but their machine is broken. But I'll try those arm exercises for sure. cindy, it’s not great that they draw blood in your right arm, but as you say, they have no choice. I’d still make sure they do blood pressure in the left. Are you careful about insect and sun exposure? That rule is something you need to respect forever. You should still be wearing a compression sleeve and glove daily, given your history and continued swelling. Put them on when you get up, and wear them all day, most days. Custom garments would be best, because you probably need more than 20 mmHg pressure. If you don’t have them, the ready-to-wear sleeve and gauntlet by Jobst would be better than nothing, and affordable. Custom garments cost about $500. You could find Jobst at North Coast Medical (ncmedical dot com). I would still do this exercise: arm straight up in the air, pump the hand (open/close) 15 to 20 times. I would do it daily, and several times a day when you are having notable swelling. This is one of the post-op exercises in the American Cancer Society booklet. I’m not sure if it is available online. You could try contrast baths for the hand cramping and swelling. I have a hub on CBs, as an arthritis hub. You could also see my Icing hub, and try the Karo syrup cool pack when you have swelling. If you have access to a swimming pool, spend some time in the pool, with your arm completely under water. The pressures of the water are kind of like the sleeve. The pressure helps keep the intracellular fluids in the cells. I’d also watch my posture. Forward posturing at the shoulders and upper chest could be contributing to the hand swelling/symptoms. Try to line up your ear hole and your shoulder. You could reference my ergonomics hub. I suffered from bad lymphadema after my tram flap operation and it took almost a year after the op for me to be able to use my arm properly. My hand might still swell 6 years after the op if I write a lot. I actually start getting cramps in my hand when I write a lot by hand, and have to keep stopping to flex my fingers. As I got a DVT in my left calf after a knee op the same year as my tram flap, the veins in my left arm are so scarred from all the blood drawing, that they can no longer draw blood from there, so they are forced to use the right arm where I had the lymphadema after the mastectomy. It's not bad for me that that's the arm they use is it? pinkboxer I'm so glad you had a good experience with OT. Was it a military OT? I have included one of your hubs in the link capsule above. Excellent! My occupational therapist was invaluable to my recovery. I also will add this link to my Breast Cancer hubs. " Pink Boxers " everywhere thank you! Thanks for reading and commenting Doc. I use US and even phonophoresis with thick scars, such as Dupuytren's post-op. I don't know anyone who uses thermal or electric modalities with cancer patients. Excellent information. In my practice, vitamine E oil from capsules worked best on shin scars. To alleviate deeper scars, ultrasounds do wonders. My friend who is a dermatologist and cosmetic surgeon uses US on all major surgeries he does with spectacular reduction in scar production. Tissues seem to heal to their normal state much more often and much faster. This info is available to your doctor if he/she looks for it. Thanks for your support Trudy. I added a link to your Breast Cancer hub as well. Wow Thank you for sharing I am going to put a link to this hub the more awareness that is created about cancer and cancer treatments the better. Thanks so much for your support Trudy. Thanks Debby. What nice comments. I refer to the stress you describe as "having the switchboard jammed", difficult to hear anything after that. Rose Marie ~ great job on explaining the details of lymphedema and after-effects of surgery. When people are told at this time, so much is overwhelming that the information is not absorbed. There needs to be a close care-giver who can help not only the physical symptoms but the emotional pain and shock. AEvans and Christy, Thanks for the encouragement and support! Good point about the relationship of lymphedema to a variety of surgeries or injuries. The big picture can be muddied due to multiple concurrent factors, such as swelling due to vascular and lymph issues. I'm guessing this was the case with your "fat" leg. I don't know of too many reports of lymphedema subsiding without therapy/lymphedema massage. But then these clients wouldn't be seeking care from someone like me if symptoms resolved on their own. Regarding your comments about hand pain and swelling vs typing and activity. I've heard this from clients a number of times. Something about it doesn't 100% gel in my clinical mind, but I can't deny the relevance given the number of times clients have said this to me. Key is your comment "it's exercise...that's within my ability". It's important to being a therapist, and important to being a good self manager, finding "the just right challenge". This is interesting. The lymphedema information is particularly interesting and may be relevant to other surgery too and other types of injuries. I've had it at numerous points in my life, most often in my legs when I injure my bad hip or knee or ankle. There was one point when I lived in New York in subsidized housing where I got dragged out to three appointments in one day over my objections that I couldn't handle that much activity in one day. I walked too far. I sat on hard chairs that did more harm than walking because my legs gave out. I wound up on months of bed rest from that one and I remember looking down and getting disgusted because I was fat. My leg looked like I weighed about 400 pounds. Then I looked in a full length mirror and funny, the rest of my body didn't match that leg. My other leg didn't even match that leg. I had one fat-guy leg and one vaguely-fat leg and arms and chest of the skinny guy. It made no sense but I knew that was what the three-appointment day did to my leg. I wound up with tendonitis and only a couple of years later finally managed to get it under control with a tendonitis bandage my daughter bought for me. It still flares up sometimes. I know the lymphedema, when the swelling gets that bad, hurts like crazy and has its own level of pain. Occasionally my hands swell -- weird though, they are most likely to swell and hurt if I haven't typed my usual day of going online or writing things. If I take a day or two offline and don't type at all, don't even get in a couple of hours, they will ache like the blazes and swell up like crazy. This is why I tend to think that my writing helps keep the arthritis down -- it's exercise in the hands in a level that's within my ability. Thanks so much for the encouragement! People with breast cancer want to know what’s typical and what’s unusual, and what to expect. I hope I’ve provided some of that. Lucien, best wishes to your friend. This is amazing information... I have a close friend who has struggled on and off again with breast cancer and I think I am going to send her this link. Thank you for sharing your expertise.